Combination of satay, crispy rolls, fried tofu, steamed dumplings & fried calamari. Skewered chicken marinated in Thai spices, grilled & served w/ cucumber peanut relish. Water cress lightly battered in tempura flour & fried to golden perfection. Served w/ sweet cucumber sauce. Fresh squid tossed in a light batter & deep-fried until golden brown, served w/ mildly spicy sauce. Fried golden triangles of bean curd served w/ sweet & sour sauce topped w/ crushed peanuts. Crispy thin rice noodles tossed w/ sweet tamarind fruit sauce w/ bean sprouts, red tofu & scallions in a crunchy lumpia bowl. Seasoned shrimp wrapped in wonton skin, served w/ sweet & sour sauce. Steamed dumplings filled w/ lean ground pork, crabmeat & water chestnuts. Served w/ soy-chili dip. Mussels steamed in a lemon grass & basil broth served w/ a zesty chili dipping sauce. 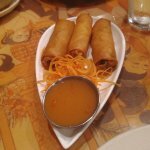 Crispy veggie rolls stuffed w/ cellophane noodle & vegetables served w/ sweet & sour sauce. A spicy lemon grass soup w/ mushroom & tomatoes. Medley of seafood: shrimp, scallops, mussels & squid in Thai spicy lemon grass soup w/ fresh basil. A creamy smooth spicy coconut broth w/ mushrooms. A delicate mix of fresh vegetables & soft tofu in a clear broth. Mixed green salad & crispy wontons w/ a choice of peanut sauce or creamy garlic dressing. Grilled​ marinated steak, thinly sliced & tossed w/ red onions, scallions, cilantro, lemon grass, mint vinaigrette served on a fresh bed of lettuce. Minced chicken tossed in a spicy lime dressing w/ a exotic blend of spices & served on a fresh bed of lettuce. Minced chicken tossed w/ spicy lime vinaigrette w/ cellophane noodles, scallions, cilantro, red onions & roasted peanuts w/ mixed salad. Julienne green papaya, roasted peanuts, string bean & tomatoes seasoned w/ a spicy lime dressing. Parade of fresh shrimp, scallops, mussels, squid cooked on low heat to perfection, tossed w/ spicy lime sauce & mixed greens. Honey roasted duck shredded tossed w/ ginger, scallions, celery, red onions, chili paste & lime juice dressing. Minced chicken, fresh ginger, roasted peanuts tossed in a spicy lime dressing w/ an exotic blend of spices & served on a fresh bed of lettuce. 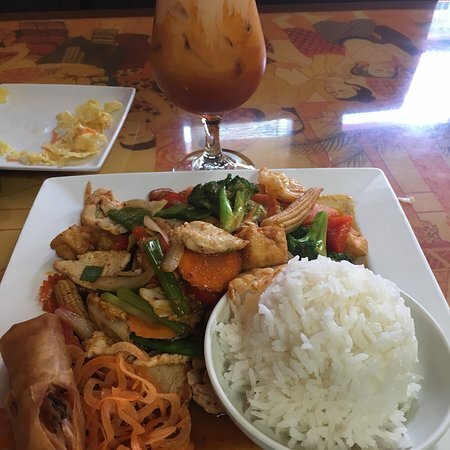 Steamed jasmine rice served w/ every entrée. Sauteed w/ peppers, garlic & basil leaves. Sauteed w/ chili paste, Thai eggplant, basil leaves, bell pepper & young peppercorns. 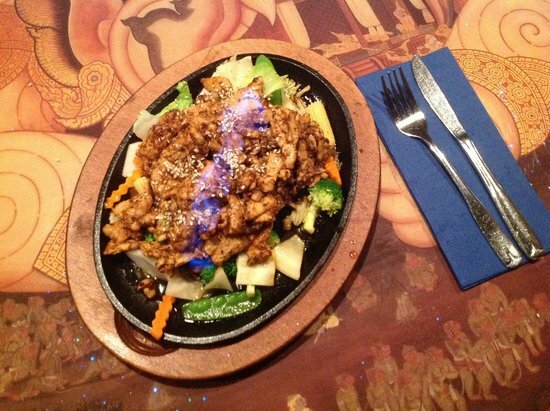 A​ choice of chicken, beef or pork sauteed w/ garlic, string beans & curry paste. Sautéed w/ tomatoes, onion, pineapples, cucumber, peppers & tomato sauce. Grilled half chicken (semi-boneless) marinated in special sauce & served w/ spicy sweet sauce. Includes sticky rice. Fresh ginger, onions & shitake mushrooms in a black bean sauce. Stir-fried​ w/ garlic & white pepper sauce. Comes w/ broccoli. Your choice of chicken, beef, pork, shrimp or seafood simmered in a traditional red coconut curry sauce w/ bamboo shoots, eggplant & fresh basil leaves. 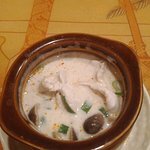 Your choice of chicken, beef, pork, shrimp or seafood simmered in a traditional green coconut curry sauce w/ bamboo shoots, eggplant & fresh basil leaves. Fresh basil, shredded lime leaves topped w/ special curry peanut sauce. Your choice of chicken, beef, pork, shrimp or seafood simmered in a traditional yellow coconut curry sauce w/ roasted peanuts & potatoes. Roasted duck simmered in a red curry sauce w/ pineapple & tomatoes. A Thai national noodle dish: thin rice noodles stir-fried w/ bean sprouts, crushed peanuts, scallions & egg. 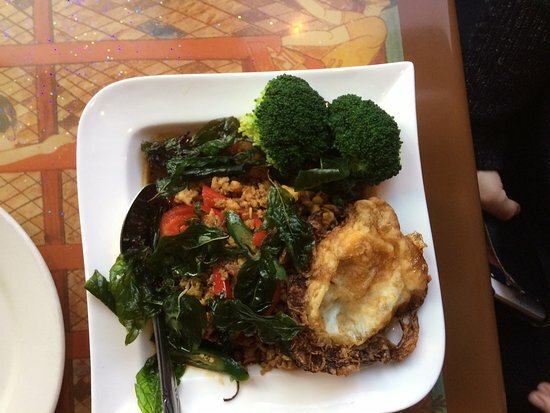 Wide rice noodles stir-fried w/ broccoli, egg w/ a Thai soy sauce. Wide rice noodles sauteed w/ chili garlic, basil leaves, onion & tomatoes. 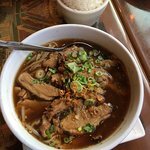 Honey roasted duck sliced on top of rice noodles in a light tasty broth served w/ fresh herbs & bean sprouts. Bean sprouts, scallions & crushed garlic in a clear broth. Stir-fried w/ the chef’s special fried rice w/ pineapple, egg & roasted cashew nuts. Two crispy jumbo soft shell crabs w/ your choice of sauce. Roasted crispy duck (boneless) served w/ crispy noodles & Thai sweet soy sauce. Fried rock fish served w/ your choice of sauce. Fried whole flounder served w/ your choice of sauce. 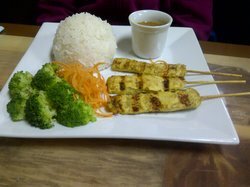 A choice of chicken, beef or pork sauteed w/ light yellow curry, surrounded by broccoli & baby corn, topped w/ crushed red onion & peanut sauce. Steamed sticky rice tossed w/ sweetened coconut milk & served w/ fresh mango. Deep fried banana topped w/ honey & sesame seed. The special Thai custard topped w/ honey & sesame seed & cherry. Deep fried banana topped w/ honey & sesame seed served w/ home made coconut ice cream. Paseando Calle loudoun y encontramos esta joya. Una gran experiencia, nuestro servidor fue la mejor, ya que fueron sus recomendaciones. La comida era lo que considera uno de los tailandeses que he tenido y he tenido algunas. Estoy en un sin azúcar no hay arroz bajo rápido los carbohidratos de la dieta. Comer muchas verduras que que puede ser difícil de encontrar. Hicieron un gran comida sabrosa y conocí mi dieta totalmente. Viaje de cross country. Una agradable sorpresa. Muy buena, auténtica comida tailandesa en un pueblo pequeño. Realmente bueno, sin frivolidades, comida tailandesa. Me dieron el curry verde con pollo. Excelente. Patio muy agradable al aire libre y el interior parecía atractivo también. 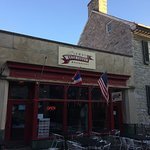 Este es uno de nuestros restaurantes favoritos en Winchester. 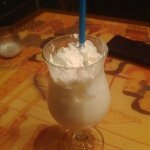 Es caro para la cena, sin embargo, por lo que se pegan a los especiales del almuerzo que son una auténtica ganga. Todos los platos estándar, y tailandés son la comida es fresca y rápida. Para mí, todo es acerca de la comida. Así que me alegro Winchester tiene diversas opciones de comida de calidad y como Tailandés gane. Una excelente variedad de opciones, con precios razonables. Auténtica y deliciosa. La suave cáscara cangrejos en temporada vale la pena pedir. Las porciones son abundantes y deliciosos. Hemos comido allí a menudo y nunca he tenido una mala comida. He visitado este restaurante dos veces tan lejos y han disfrutado de ambas comidas. Tailandés. buen servicio. menú variado. grandes porciones. cómoda. La sopa estaba caliente y excelente. Panang curry a mi me gusta. Mi lugar favorito en peatonal winchester hasta ahora. 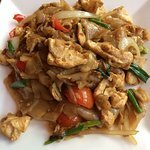 Recibe respuestas rápidas del personal del Thai Winchester y de clientes anteriores.